We hope you all had a great Christmas and are ready for the term ahead. Our link learning topics this term is The Vikings. On Friday the 18th January we will be taking part in a Viking Day. Every child (and staff members!) will need a costume to get into the Viking spirit! You child can come to school in their costume on this day. Our science topic is forces and magnets. 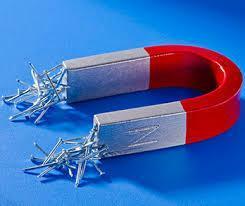 Children will have the opportunity to investigate magnets, learn about friction and participate in lots of practical activities. Don't forget spellings will be given out on Monday and tested on a Monday. Maths will still be given on a Friday to be returned the following Friday. Remember your child should be reading 3-5 times a week. Please feel free to hand in any home work as soon as it has been completed! We will be sending home the carousel of activities of projects for link learning within the next two weeks. We hope you have enjoyed the selection of this year so far! 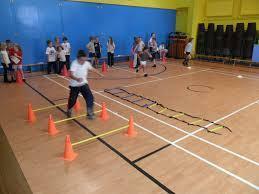 As the weather is cold, we will be doing indoor circuit training for our P.E sessions. There will be a range of activities and music to energize your child! We will still continue with the morning walk, weather permitting. Please ensure your child has a water bottle in every day. Term 2 is here already and half term is but a distant dream. However, there is enough to do in this seven weeks to keep us extremely busy. Our Link Learning this term is Anglo-Saxons. We will be looking at why they came to Britain and how their influence is still felt today. The importance of choosing a suitable place to settle will be looked at as well. Our Science is a continuation of our ‘States of Matter’ topic from last term. We will be planning experiments and learning how to use a thermometer to measure temperature. We’ll be recording the results and plotting bar graphs. Christmas rehearsals have already started, and the children who wished to have a speaking part have auditioned. Thank you to all the children who took part, you will be getting your words within the next couple of days. Please help your child/ children to learn their lines and help them add the expression they need to bring their role to live. You will be receiving a letter in the near future to tell you the costume your child requires. Thank you in advance. This will be taking part on Saturday 1st December-Christmas Bazaar- 10am to 1pm. This event is organised by the HSA and all funds raised will be used to buy exciting resources for the children in Grove Park School. Do go along and support this wonderful morning/afternoon of fun. P.S Don’t forget to visit our Christmas celebrity in the grotto!! Every Christmas, the children have a chance to join in the festivities by having a dinner. The children enjoy a full Christmas dinner to the sounds of Christmas and are given a cracker to pull. To add to the fun, Teachers and Teaching Assistants act as waiters/ waitresses in funny hats. An occasion worth seeing! The Christmas party will take place on Thursday 13th December. We would like every child to bring a selection of food that can be shared between them. Please remember that our year group is a NUT FREE Zone, so check the labels to ensure all the children can enjoy the goodies. Before the party we would like your child to make a Christmas hat for our yearly competition. Don’t forget that spellings and Maths will still be given every week and that three pieces of project work need to be completed by the end of the term. If you and your child wish to do more, feel free as all projects are shared with the class and house points are given. All that’s left is for me to wish you and your families a Merry Christmas and a Happy New Year. See you in Term 3! September is here already and Year 4 is about to begin. I hope you had a super summer holiday and are ready for an exciting year ahead. As this new year begins there will be many changes: the first being a change of building. We are now in Cedar House and are situated on the top floor. (4D are above Busy Bees and 4JB are above Fantastic Frogs' classroom.) Children are expected to enter via the staircase near the Year 2 classes and exit via the staircase near Busy Bees. Hopefully, this will avoid any congestion! There will always be a Teaching Assistant at the bottom of the stairs to pass on any messages to the Teachers in Year 4. This year will be a sport packed year for Year 4. In Term 1, we will continue to have golf lessons every Thursday morning. In Term 4, we will be having swimming sessions (further information about these sessions will be sent to you at a later date) and football in Term 5. Sport for the remaining terms will be led by the Teachers. It is important that your children have a PE kit in school at all times. Don't forget a tracksuit for those chilly winter months. Our topics this year will be as follows. I'm sure the children will find the planned work fascinating. We will not be having an offsite trip, as swimming sessions will require payment. However, we will be having outside visitors for our Viking Day (Friday 18th January 2019) and we will create our own Tudor Day later in the year (Friday 17th May 2019). Costumes will be needed for these special day. So get those dates booked in your diaries now! It is important that we remind you that Year 4 is a NUT FREE and SESAME FREE year group. If any food is required for our special events, please check the packaging so all the children enjoy the treats. Now the children are virtuosos on the recorder, we will be learning the ukulele. Year 4 will be having lessons during Wednesday afternoons with an outside expert. We are definitely looking forward to the children teaching us how to play! The following home learning will be set weekly and expected to be completed and returned, completed on the following days. Monday- Spellings given. Need to be returned on the following MONDAY. Friday- Maths sheet given. Need to be returned on the following FRIDAY. Every week we would like the children to complete an activity on our Eco-Warrior wheel. A book will be supplied for the children to complete their work in and would like it back in on MONDAY. Of course, this can include photos too. Don't forget daily reading is very important too! Just a reminder...a water bottle for drinks throughout the day will keep your children hydrated and a piece of fruit will keep them going to lunch. Like last year, we will be holding a Year 4 Parent Chat on Tuesday 25th September for any questions you would like to ask. A pamphlet of this information will be provided. Thank you for reading all this information. We look forward to seeing you on the 25th. If you can't make it we'll send you a pamphlet via your child/children.